Don’t know where to start? It is possible to hire someone to install and maintain a beautiful organic garden for you. But most of us can roll up our sleeves with a surprisingly small amount of effort. Remember, you can start small, even with just a single plant or two. Don’t worry if things aren’t perfect right away. Organic gardening means you won’t be using synthetic fertilizers or pesticides, but that doesn’t mean your plants are left to fend for themselves. 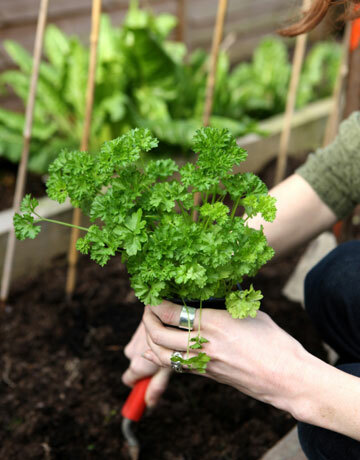 There are an array of tools you can use to bolster plant health and ward off pests. Organic gardening also isn’t just about what you don’t do, it’s about trying to foster a more holistic, natural ecosystem. Read on for specific tips, taken from The Daily Green’s expert garden blogger, Leslie Land, her New York Times book 1000 Gardening Questions & Answers and other sources.